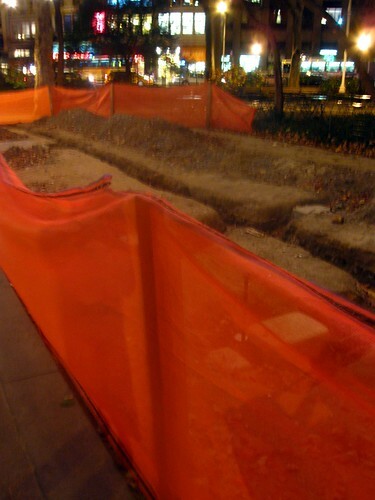 On November 1st, Shake Shack Mad Square Park was supposed to be fully equipped for winter with outdoor heaters. Winter obviously didn't wait for them. As of last night, they were still without and had no idea when the heaters would be fully installed. 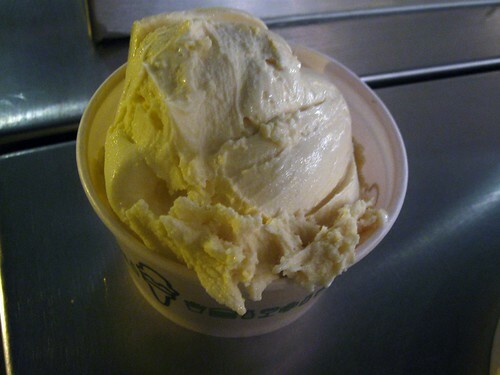 Wait, did you think a little 15° wind chill and frozen extremities would stop me from my ultimate Sisyphean custard goal of trying all the flavors? Yeah, I did. 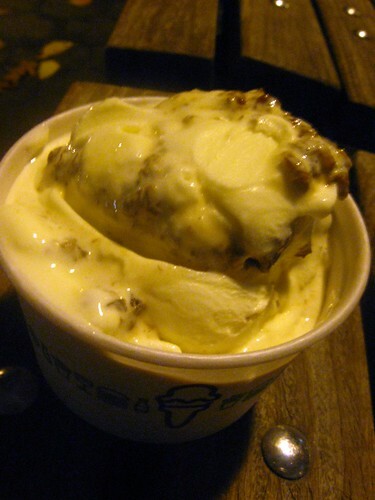 The November Custard Calendar saw a repeat of October's Monday flavor, Pumpkin Spice. That means a day off for me and one less photo to look at for you. 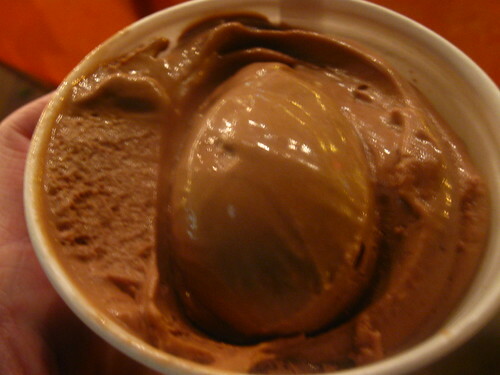 The "mulled" aspect turns a regular chocolate custard into a spicy chocolate, similar to Mexican chocolate. Brownie thought it tastes like "chocolate mixed with gingerbread." This tastes spot on: tart, tangy, and exactly like the apple cider I buy at farmer's markets. At first bite, very sweet and tart, but then the cranberry flavor would disappear leaving behind the egg flavor. That made it all taste like a cranberry omelette. I thought the buttermilk would make this tangier than it is. On the flip side, there is more rum and raisins than I anticipated, a happy surprise. It reminded me of rum cake, and transported me to John Smith's Bay. 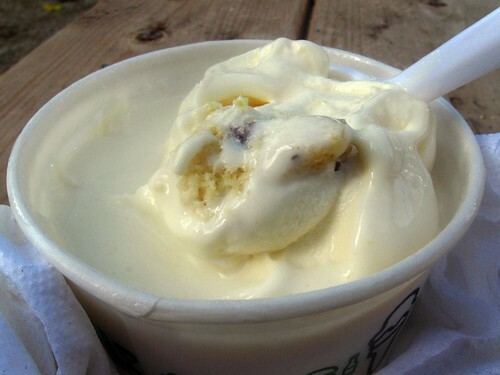 Oh man, another spot on custard, this one even includes real chunks of almond biscotti. Delicious. 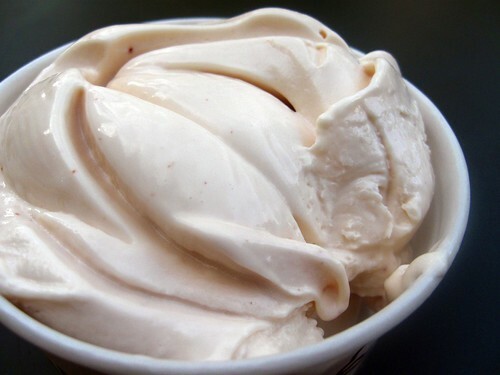 In my cup, the almond flavor, though very present at the end of a bite, was overwhelmed by the quince. The amount of quince made this a bit too cloying for me. 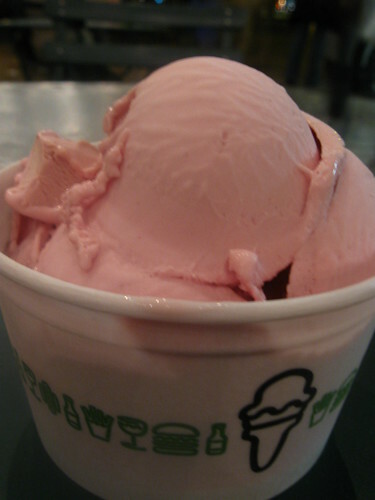 The custard though is a beautiful shade of pink peach with little pink seeds. 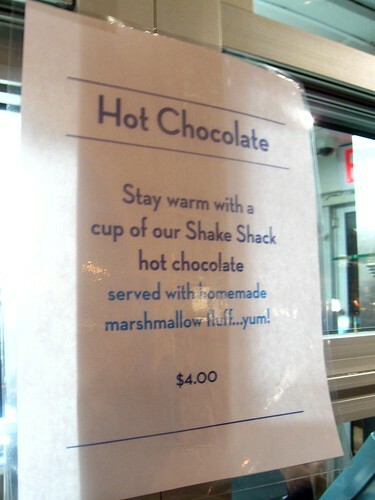 The Shack did make up for the lack of heaters by offering hot chocolate with homemade marshmallow topping. It is very similar to drinking chocolate in thickness, but it's fluffy. Brownie and I both thought we were still drinking the topping, then we realized 3/4s of our cup was gone. All I had to read was "shake shack" and I thought "I'm adding this blog..."
Oh I MISS New York! Although I don't like the cold either. we were there in vacation Oct. 8-11th and it was beyond delightful. My friend lives on E. 29th, so the park is a real hang out. Are the tree houses still up?